Create an account with Unibet and start betting on your favourite sports within 5 minutes! 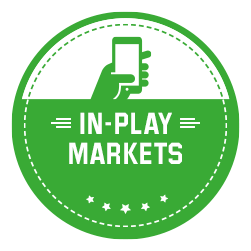 Get a €25 welcome bonus, access to Unibet TV and industry leading markets and live betting opportunities. Join over 14 million players today! The Risk Free bet will apply to your first pre-match or Live bet of €1 or more after opting in to this bonus. If you win your bet the bonus is completed. If you lose we’ll refund your account with up to €25 of bonus money (offer is 100% up to €25). Before you can withdraw these funds you must complete the following requirements. Sportsbook: Bet your bonus x 5. For example, if you have €10 of bonus money, you would have to bet €10 x 5 = €50 in Sportsbook. Your bets will count towards the rollover requirement once they’ve been settled. (Only bets with odds of 1.4 or higher count). Only bets settled within the bonus validity period will count. For example, if you have €10 of bonus money, you would have to bet €10 x 25 = €250 on these products. Slot games count 100% towards the rollover requirement. All Table Games and all Video Poker games count 10% towards the rollover requirement (€10 played will contribute €1). For example, if you have €10 of bonus money, you would have to bet €10 x 35 = €350 in Live Casino. 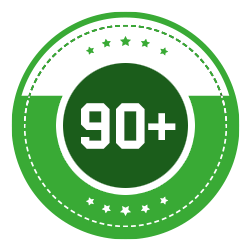 All Table Games count 10% towards the rollover requirement (€10 played will contribute €1). For example, if you have €10 of bonus money, you would have to bet €10 x 4 = €40 in Bingo. It doesn't matter if you win or lose, every bet counts towards your rollover requirement. You can wager the bonus in all the above mentioned products so it is not limited to only one product. You’ll receive the bonus once you’ve opted in and made a deposit of at least €10. A bet will only count towards the rollover requirement once it has been settled (regardless if the bet wins or loses). Combined pre-match and Live bets do not count towards the rollover requirements. Poker play does not count towards wagering and the bonus money and deposit funds related to the bonus can’t be used for playing poker. You can’t withdraw your money or restricted balance until you’ve completed the bonus, you’ve cancelled it or it has expired. You can cancel the bonus by calling customer services. The bonus money and money you’ve won by betting the bonus money will be lost. 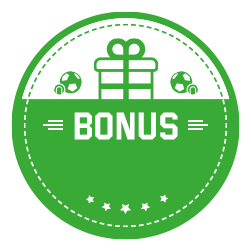 The bonus will expire after 30 days. If you don’t complete the wagering in this time the bonus money and the winnings you’ve made by wagering the bonus money will be lost. Only bets on odds of 1.4 or higher will count towards the progression of your bonus. You must be 18 years old or over. Only one person in your household can use this bonus. General Unibet terms and conditions apply. Unibet reserves the rights to change or cancel the bonus at any time. Sign up for Unibet Poker and you are entitled to a great €200 welcome offer.